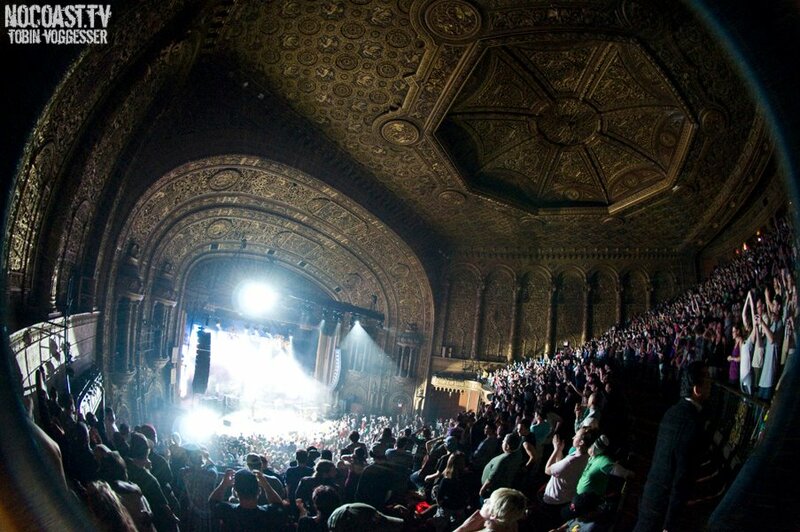 I hopped on tour in NYC and witnessed two incredible shows at the beautiful United Palace Theatre this past weekend. Some highlights from the first night were: Blue Bossa, Windy Mountain, Daryl, Dirk, and Round the Wheel. It was probably the best version of Dirk I have ever heard. This show on Friday night was good, but I knew the band would throw down even harder on Saturday night. There’s nothing like cheese on Saturday night, they always step up their playing and song selection and it elevates the show immensely. Saturday night’s first set was non stop amazing jams. They kicked it off with a beautiful rendition of Naive Melody, followed by a really bouncing Rhum ‘N Zouc which featured a back and forth drums jam which was conducted by kang and his fiddle. He would face one of the drummers and play some fiddle notes and then the drummer would play it back with percussion. Then Kang would address the other drummer and repeat. It was awesome to see this kind of musical communication. Then it was a funky Miss Brown’s with the classic Chameleon thrown in. Then a rockin Wheel Hoss, and Sometimes a River. The set closed out with Rollover, sandwiched between the new Billy tune, Colorado Bluebird Sky. This went over really well and the crowd loved it. Second set began with the new Kyle tune, Let’s Go Outside. Followed by a rocking Restless Wind > On the Road, which really set the tone for the rest of the set. Then it was time for the classic cheese disco funk party. Betray the dark crept in with its electronic and dark tones, the lights went low, and the disco ball burst into life spinning one way then reversing and blanketing the room with points of light. This is one my favorite musical spaces that cheese creates. Then the band segued into one of the best Drums I have ever seen. Clearly the extensive touring with EOTO has bonded Michael Travis and Jason Hann into an explosive tag team. Then it was Joyful Sound, done a bit differently than it has been recently. They dropped the extensive electronic breakdown and put kang’s mandolin solo back in. Though it seemed the band was scrambling a bit on this one, it ended up being a great version of the song. Then they surprised everyone by playing Radiohead’s, National Anthem. They closed the show with a great version of Bumpin Reel > Can’t Stop Now. All in all this was an incredible 2 nights. I feel the band is only getting tighter and more comfortable with each passing night. Boston review coming soon! Great review! Daryl was my highlight for night one, but how did you feel about the Bollymunster? I REALLY wanted to like it, but it seemed very choppy and amelodic- couldn’t get into it. The ’round the wheel brought it back for me, but was also a little disappointed in the encore. Security and the crowd were really messing with my vibe as well, to an extent that far excedes any other cheese show I’ve been to. The second night blew the first one out of the water; I didn’t stop moving first set at all. Absolutely fantastic choice of songs, especially the Bluebird sandwich (made me miss the west! ), and the second set was hot as hell too. Restless through drums was one of the most cohesive series of songs I’ve seen from them in a long time. I’m a huge radiohead fan, but I was not as impressed as I thought I might be. Mosley kept it solid through the whole thing, but I found it dragged, and the bumpin’ it went into was far from top tier- I think Kang’s levels were a little off (which I actually noticed for a lot of his fiddlin’, we’ll see how the soundboards turn out), and I found myself itching for more jig, less bumpin’, if you will. Great rendition of way back home, but they already encored with it! Was also hoping for 2 encore songs. All in all, great stuff.